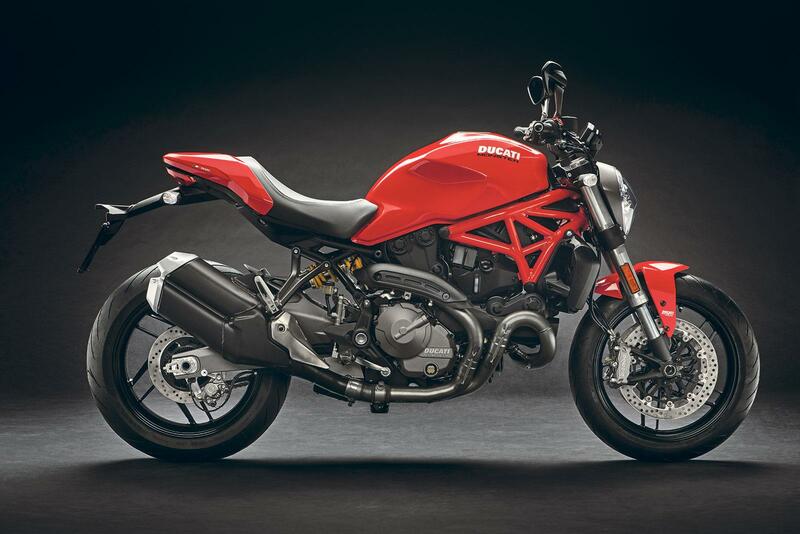 Twenty-five years after the original M900 Monster emerged from the Ducati factory, starting a dynasty that has seen them churn out well over 300,000 Monsters since, the firm have revealed an updated 821 for 2018. While the technology, reliability, ride and refinement have all come a long way since 1992, the trademark styling remains much the same – and even sees Ducati creeping back towards the design cues that came to define the original. 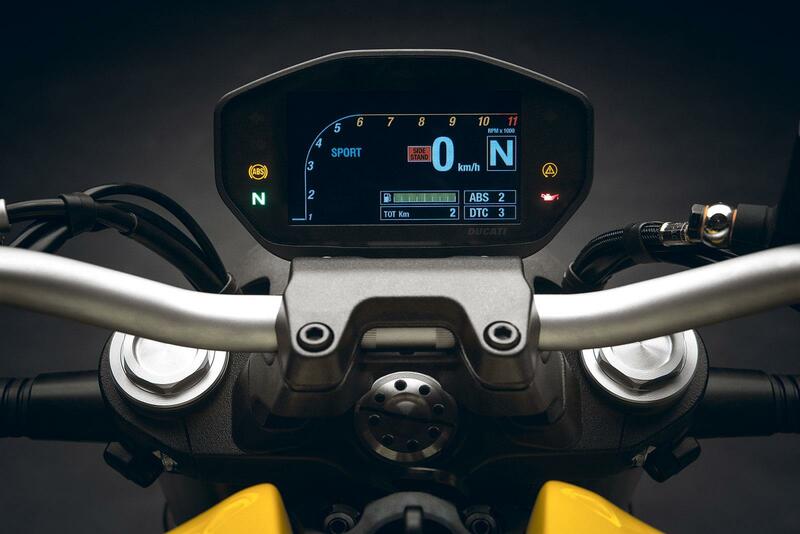 The new-for-2018 Monster 821, boasting some key revisions that drag it ever-closer to its bigger capacity, and more expensive stablemates – with the most overtly high-end being the addition of the full-colour TFT dash, giving the 821 a level of tech bragging rights in the class matched only by Triumph’s Street Triple R/RS. Visually, it takes a few moments to work out what’s changed. But put the 2017 and 2018 versions next to each other and the newer model is slightly more streamlined, with a redesigned tank and tail unit, a new silencer, new headlight, and useful practical changes – such as the splitting of the cheap and bulky looking combined footpeg unit into separate rider and pillion pegs. From the rider’s view, the ski-boot style clasp on the tank is a pretty nod to the original M900, while the TFT dash couldn’t be further removed from the simplistic single-dial clock and idiot-light panel of the original. It also boasts a much-needed gear indicator and fuel gauge. There’s no tangible change to the motor, the Euro 4 compliant liquid-cooled Testastretta 11° engine delivering a usable 107bhp at 9250rpm, and 63.4lbft torque at 7750rpm – still with the impressive 18,000mile valve-check interval. That’s all quite high in the rev range, but the Testastretta’s smoothness means it’s all accessible with the need for repeated dental work. 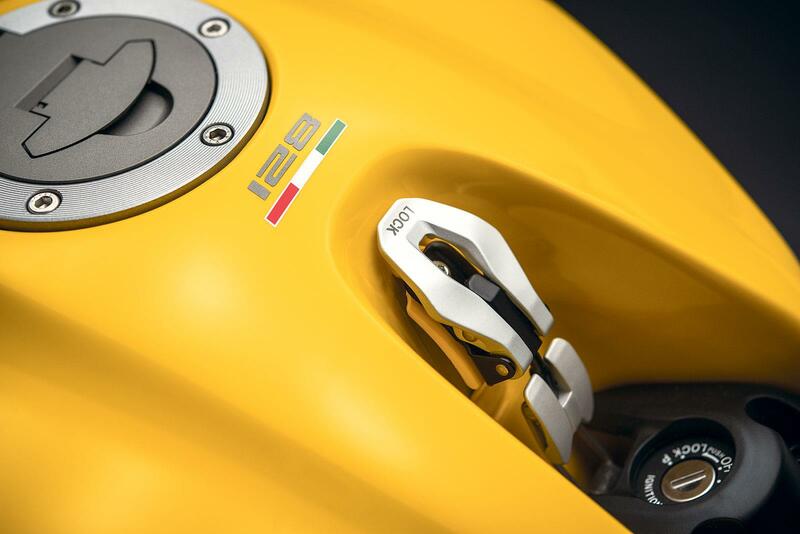 The full Ducati Safety Pack is also onboard (3-level Bosch ABS system and 8-level Ducati Traction Control), along with three pre-set rider modes, and three power modes. For riders who have an aversion to clutch levers, the Ducati Quick Shifter is available as a plug-in upgrade, giving clutchless snickerbility up and down the ’box. 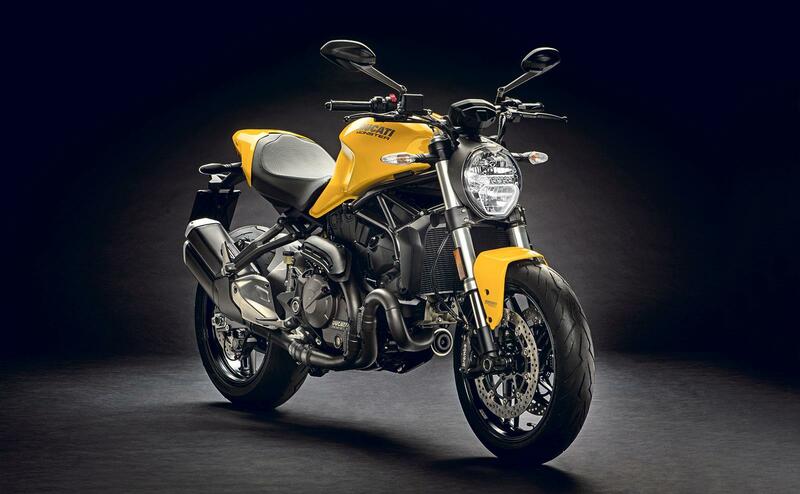 Ducati dealers are expecting bikes to arrive in December, prices have been confirmed at £9895 for the red 821, and £10,095 for the Dark Stealth and Yellow versions. 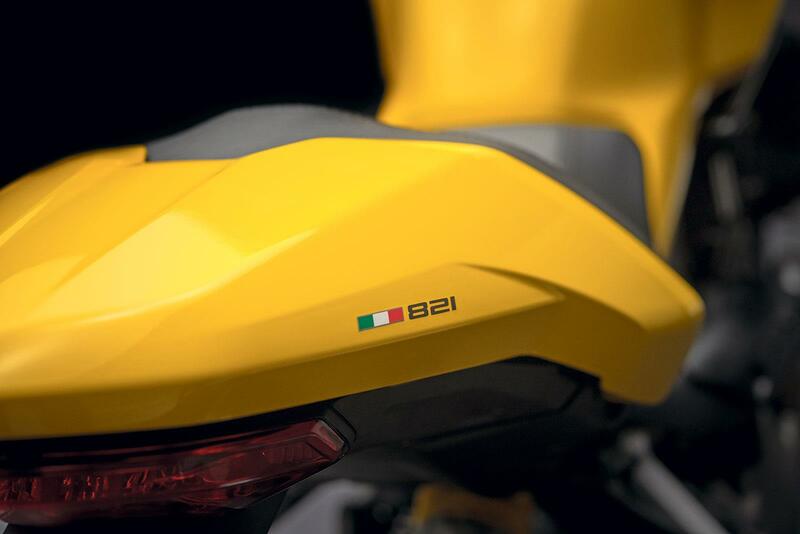 The new 821 will be available in yellow with black frame and wheels, red with red frame and black wheels, or ‘Dark Stealth’ (that’s black, folks) with black frame and black wheels. The seat is adjustable as standard, meaning two settings of 785mm and 810mm – which are both relatively tall, but with a fairly narrow seat unit, stand-over is actually pretty decent. Just like the 2017 Monster 1200, the new 821 gets the M900-aping classic anodized aluminium ski-boot style clip on the newly-designed tank. A welcome move is the splitting of the rider/pillion arrangement of old, for more comfortable and logically separate footpeg units – the pillion ones now being subframe-mounted. Now a full-colour TFT unit, the newly repositioned dash has three viewing modes, with all versions showing selected gear and fuel level. There’s also an under-seat USB charging port. The new exhaust comprises 50mm pipework in a 2-1 system designed with equal lengths for both cylinders to maximise power and delivery efficiency.